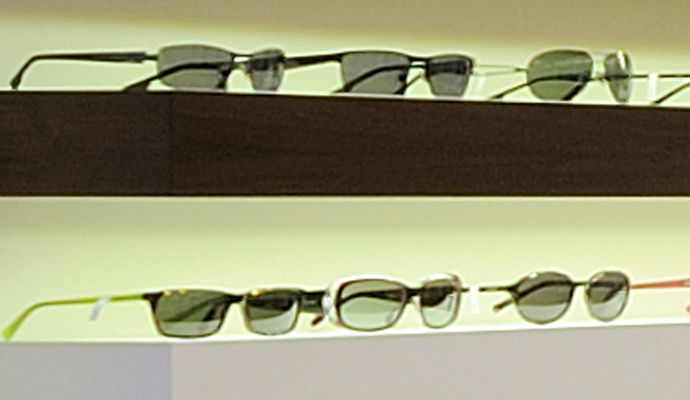 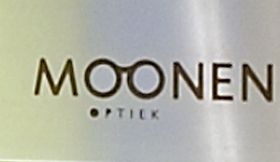 WSB Shopfitting‘s design expresses that quality, good advice and professional assistance are standard at Moonen Optiek! The concept details are visible in the beautiful combination of hard and soft materials with stone walls, well laid-out walls, spray-painted and veneered furniture and warm carpeting. 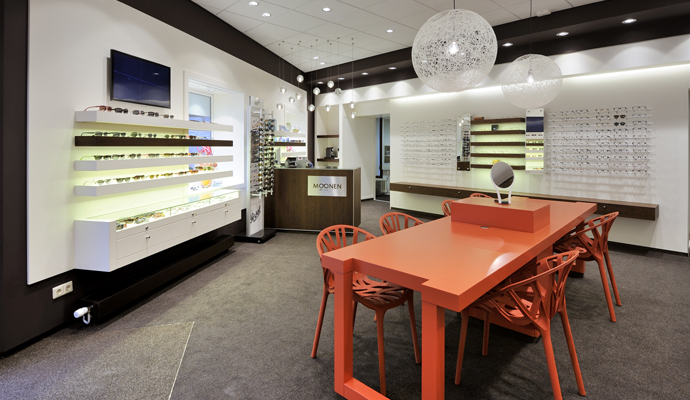 The lighting fixtures by Bocci and Mooooi are a great match for the spacious but still intimate ambiance of the shop. 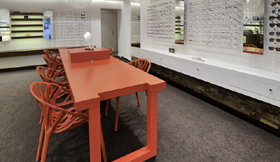 The special custom-colour chairs are by Vitra. 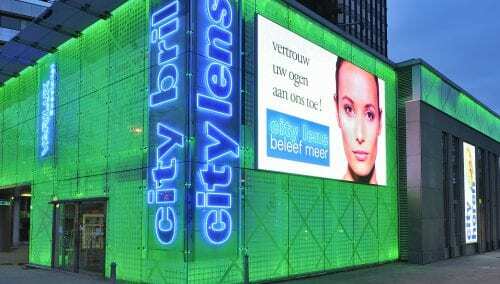 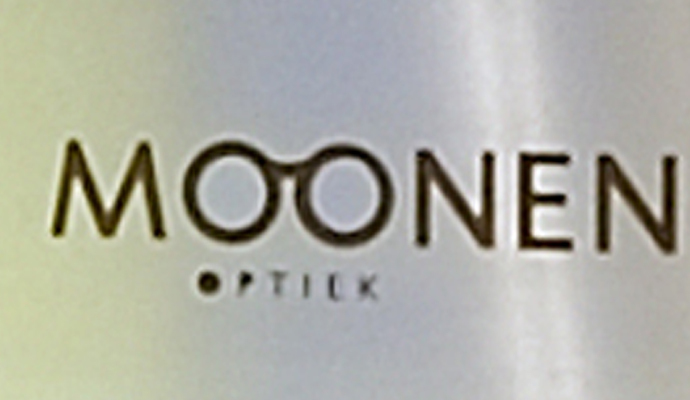 Moonen Optiek ensures that the deep South of the Netherlands has gained a commercial successful optician shop. 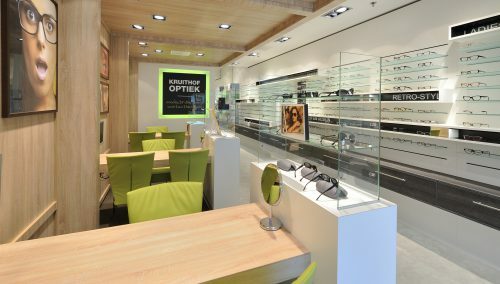 Please feel free to call or email WSB Shopfitting for a non-binding discussion on 033-277 1714 or take a look on our website.